Success seems to work for the band Coldplay who began their musical career with somber songs like “Yellow” and across seven albums have progressively grown cheerier leading to their new album, A Head Full of Dreams. This album sounds like it may have been recorded on an exploding rainbow. The title track sets the tone, which is something akin to a feel-good, pop, dance party. I know that it’s easy to make fun of this kind of sonic optimism and the cool kids like to languish, but the music is enjoyable with it’s obvious pop appeal even if it’s slightly over-produced and borderline corny at times. It pushes the boundaries for Coldplay with songs like the euphoric “Hymn for the Weekend” that might be a good anthem for uppers with animal sounds in the intro, lyrics stating “feeling drunk and high, so high/Let me shoot across the sky,” and beautiful backing vocals echoing the sentiment. 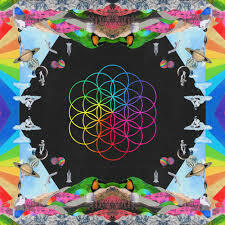 Not all the songs are sky-high tracks, some have a hint of the classic Coldplay such as “Everglow” and ironically “Amazing Day,” but they still have a brightness to them that fits the overall theme of the album. The album is primarily a magical, miracle party to the sun and back with tracks like “Adventure of a Lifetime” and “Colour Spectrum,” which are uplifting and anthemic. Overall, A Head Full of Dreams is like candy, but it’s delicious candy and it sounds like what I imagine antidepressants feel like with its ecstatic highs and mellow lows with specks of passion and emotion.